We believe the answer to solving the foster care crisis is the church. This is why we partner with local churches. A Christ-centered foster care ministry not only allows churches to meet the biblical mandate of caring for orphans but also provides a way to support foster families and involve the local church and community in meeting the need. There are more than 60 million evangelical Christians participating in over 300,000 churches nationwide. This provides an incredible opportunity to engage in foster care ministry. 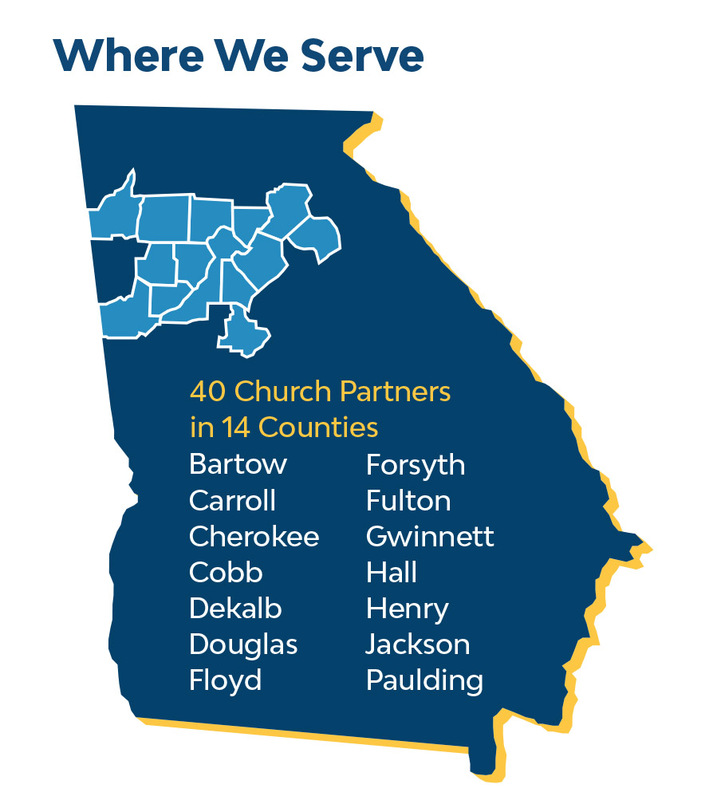 With its existing infrastructure and caring congregants, each individual local church and its community of believers can be the solution to the local foster care problem. 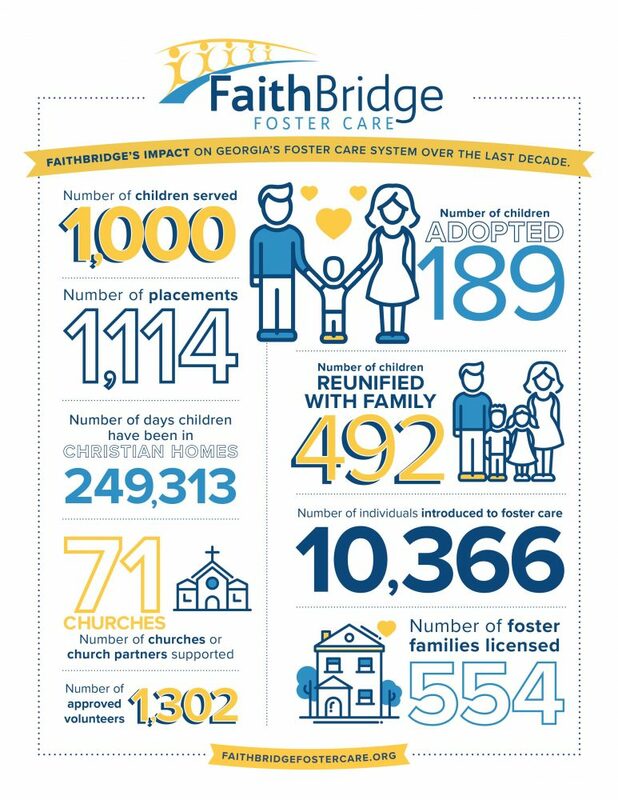 See the impact we’ve made on Georgia’s foster care system through our partnership with local churches.